Geocaching love is in the air. If you’re reading this, you’ve likely caught the geocaching love bug. Think back on the first cache you found. What was it like that day? What geocache made you fall in love with the game? Who made you fall in love with the game? It’s easy to get lost in the brush and forget about these moments when you’re caught up in your day to day. But what if there was a way to solidify these moments so you wouldn’t forget them? 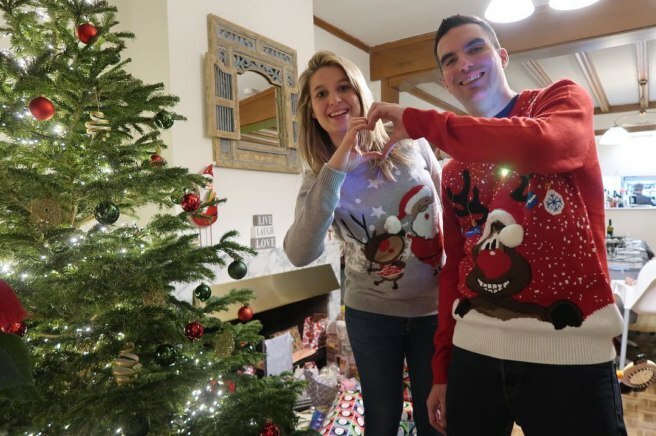 One couple in Belgium decided to take not only their love for one another but also their love for geocaching and make a lifestyle out of it. 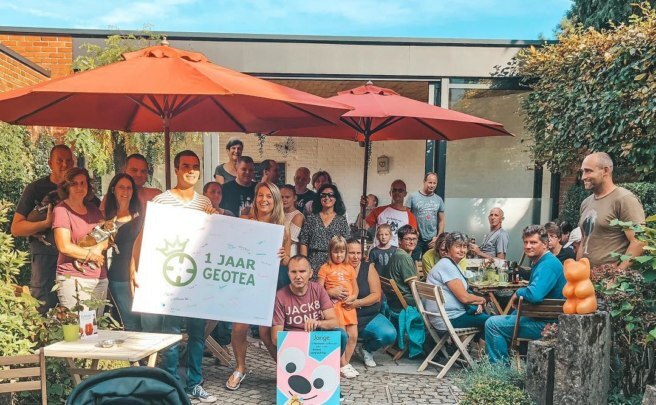 Jolien and Jenno started a geocaching-themed cafe called GeoTea (who is also an official Geocaching partner). The idea behind the cafe came about because they wanted to create a space where geocachers could get together, visit, or hang out. Now, their cafe is a successful business—if you’re wondering, yes, they serve muggles too. If you’re ever in Belgium, be sure to stop by this shop and say hello. For those who are unable to visit them in person don’t worry, we’ve interviewed them on your behalf. What are you geocaching names? We got a Geocaching name together, Jolien&Jenno. But most of the people know us as J&J. It’s weird to tell this story but we met each other on Twitter. Jolien was traveling in Korea and I had a night-shift on the radio. So because of the time difference she was one of the only ones online. So we start chatting with each other. And after a few dates we fell in love and now we’re inseparable. Were you both geocachers before you met? How did you get started? I had the Geocaching app on my phone before I met Jenno, but never tried it. So I didn’t have a username yet. One day we decided to go outside and test the app. In the beginning we didn’t know what we were looking for. We first thought we had to look for a fishing rod because someone told us he found a fishing rod with a geocache attached. But it felt weird to look for a fishing rod in the woods. After a while we found out the geocache hanging in a tree. And so our common hobby (read; addiction) was born: geocaching! Where did the idea to start a geocaching cafe come from? We love to meet other geocachers at events because every cacher has their own story. But we found that we missed a place where we can go to without making a geocaching event and wanted to meet other geocachers on a common base. Almost every sport has a club cafe or a place to come together, but geocachers only had the chance to meet each other at events. 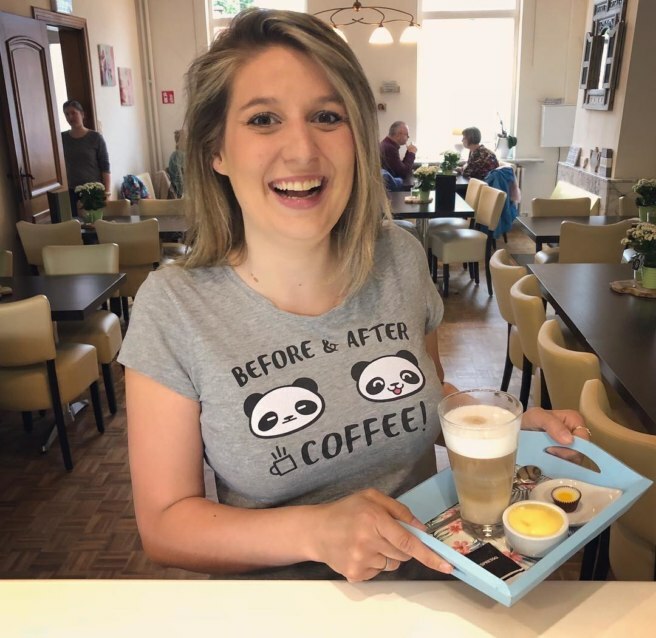 Jolien worked for a coffee brand and she is a big coffee lover..so the idea grew to make our own geocache cafe. What is your preferred tea blend? We mostly always drink mint tea. But we also got a really nice apple cinnamon flavored tea. What is your preferred cache type? It’s hard to say, it depends how the (final) cache looks like. We usually seek Traditionals. What has been your favorite part about the cafe? I like to have contact with people, geocachers, but also non-geocachers (muggles;-)). 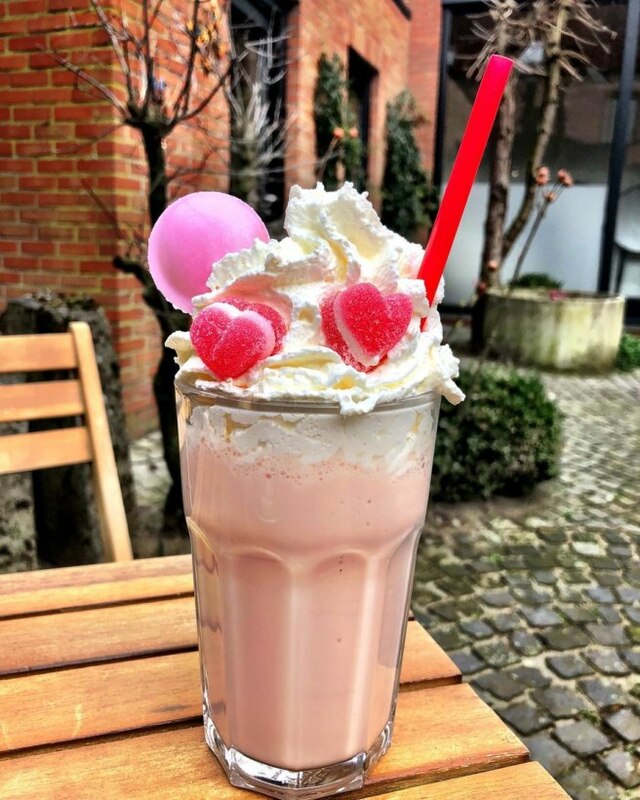 And it gives me such a good feeling to make people happy with a nice talk, a delicious drink or good food. I totally agree! And it’s also great to meet geocachers and share experiences. What are some customer favorites from the menu? We got our own ‘Baguette GeoTea’ and ‘gevuld broodje GeoTea’. Because you cannot eat it somewhere else people often get curious and want to try it. Once they tried it they order it again a next time. For the ones who are curious of what’s inside, our ‘Baguette GeoTea’ are 2 pieces of artisan bread with avocado, nuts, egg, and also a few surprises. And ‘gevuld broodje GeoTea’ is a bowl bread with egg and veggies inside. I cannot tell everything. A good cook doesn’t tell their recipes. Also our home-made pasta is a success! 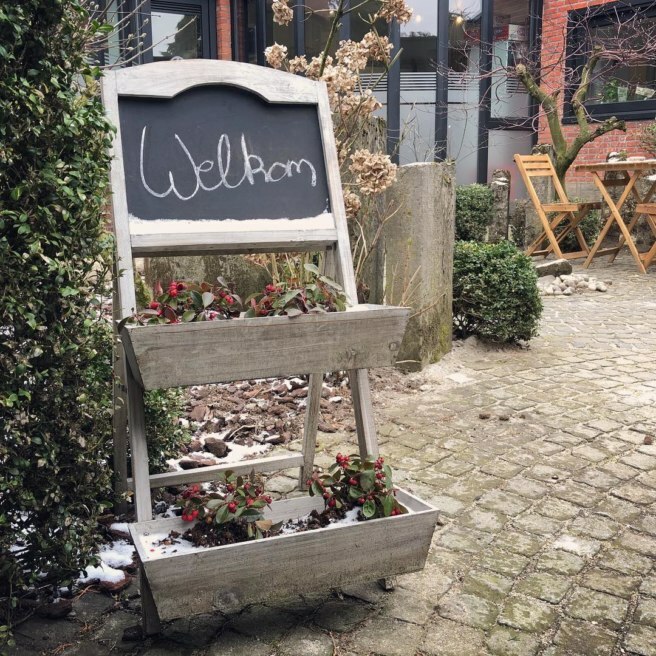 How has the local community of geocachers reacted to your cafe? We were a little scared in the beginning, but I guess most of the geocachers in the neighborhood already visited us and liked it. We also got a lot of geocachers from different countries. We found out some people tell about GeoTea on geocache forums or even suggest people to visit us while they are on vacation. This feels so good. And we’re close to the Dutch border, so a lot of people from the Netherlands also come and visit us. Do you have any cache hides of your own? We work together with some geocachers in the neighborhood. We have created a joint account to place caches. And the maintenance is done by us. If these caches count we have placed something like 50 geocaches in the neighborhood of GeoTea. So if a geocacher visits us they can also do one of our trails. What do you love about the game of geocaching? You discover places where you otherwise never go. We also like geocaching on vacation to discover the area. It’s a perfect way to go outside and clear your head. Do you go on geocaching dates? We know a lot of geocachers now, but we only go geocaching by the two of us. I don’t want someone finding the cache before me. Just kidding! We mostly go geocaching on our free days when GeoTea is closed. But when we host a geocache event or visit an event it’s nice we almost know all the geocachers who attend the event. 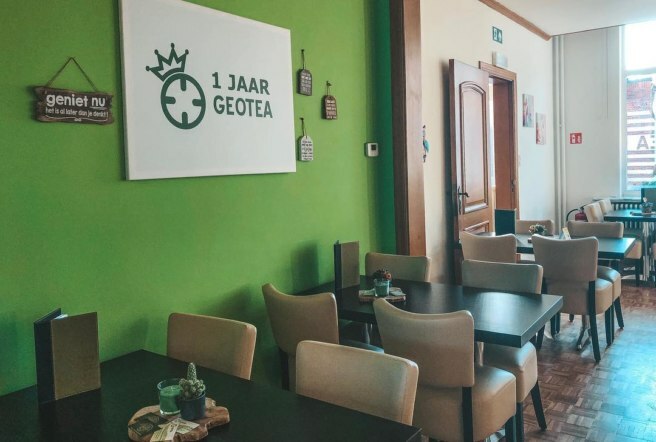 Do you plan on opening more GeoTea locations? For now 1 is enough. We’re really happy with what we’ve built. But never say never!